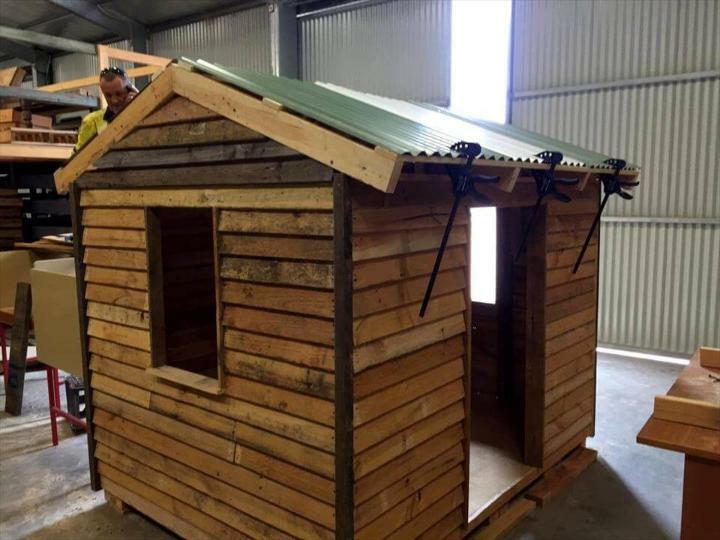 I think we have got the best one this time, a beautiful outdoor residence installed with pallets and comes with a metal proof roof! 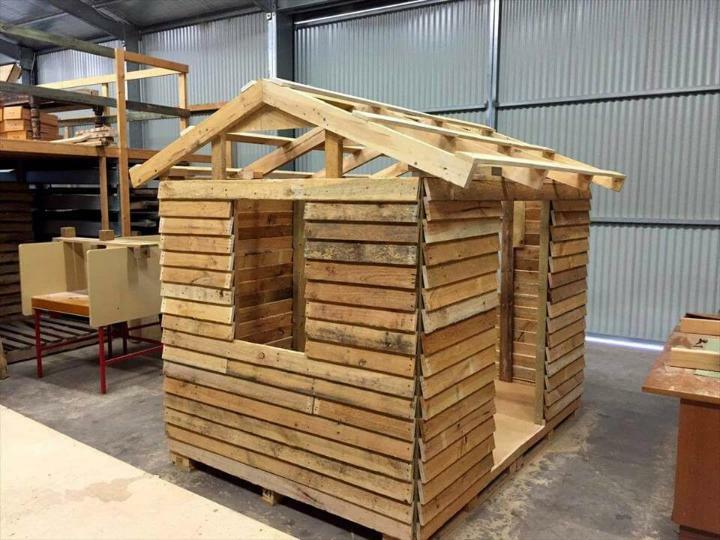 We have got here the construction pictures of this DIY pallet playhouse which serves as a marvelous visual presentation for all the construction details! If just put aside the main functions of this playhouse, it is itself a great piece of wooden art! Doing a little engineering with pallet slats a custom mini room has been installed that has been well assembled with hardware and finally its walls have been cladded for a sterling visual! For roof installation which is decided here to be chevron, the beefy wooden beams have been got which has been resized to serve separately as rafters, ridges and also as lasting bracing to chevron roof! Finally the top has been covered with metal sheets which not only makes it water proof but stylish too! An awesome pallet project done with lot of creativity in mind, clone it to gift it to your kids this summer! 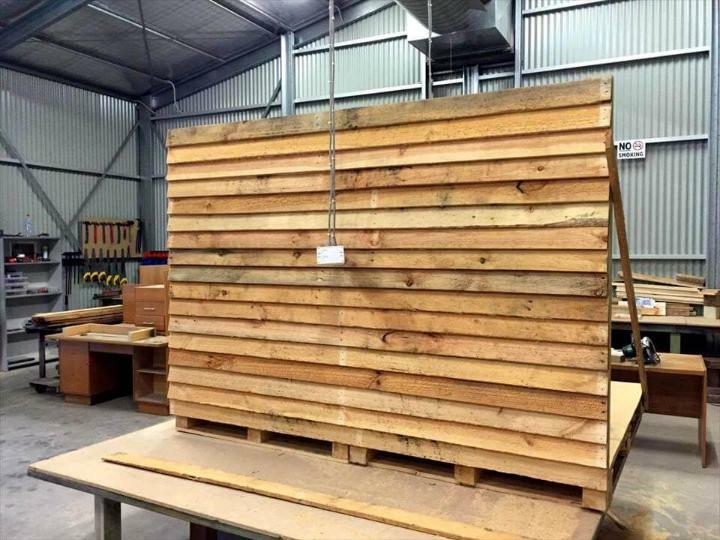 For installation of bottom, put flat some pallet boards and give it a plywood sheet overlay, this will make the floor perfectly neat, smooth and even! Now install the side walls to bottom floor and assemble them with latest hardware to let them stay fixed longer! Make the wall cladded also for a beautiful look as you can see here! Leave the space for windows and front main entrance, keep on cladding the wall for finishing touch! 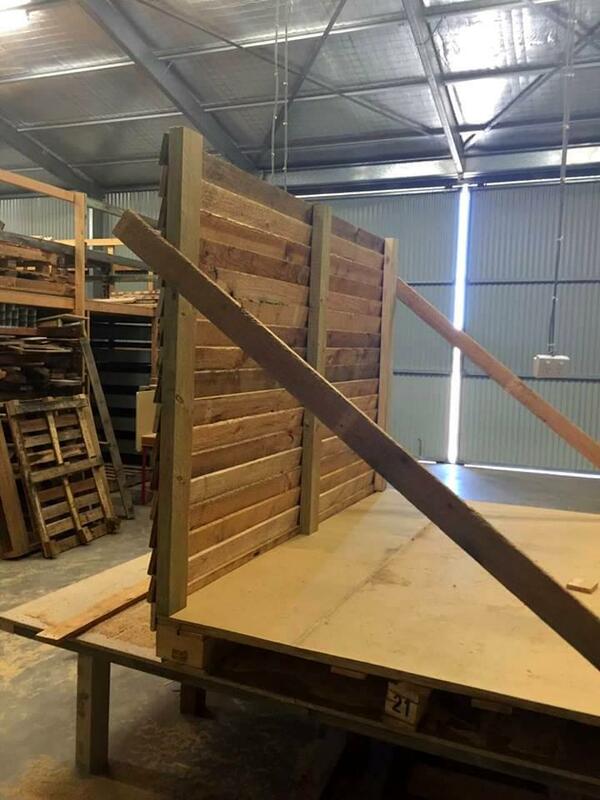 Next step would be the installation of chevron roof and choose the best looking boards out of pallets to use as chevron roof rafters, braces and ridges! Add the metal sheets to roof for water proofing as this wooden playhouse is going to be at outdoor for a whole season! Use kreg jig to hold the glued parts or roof metal sheets in place for better assemblage! 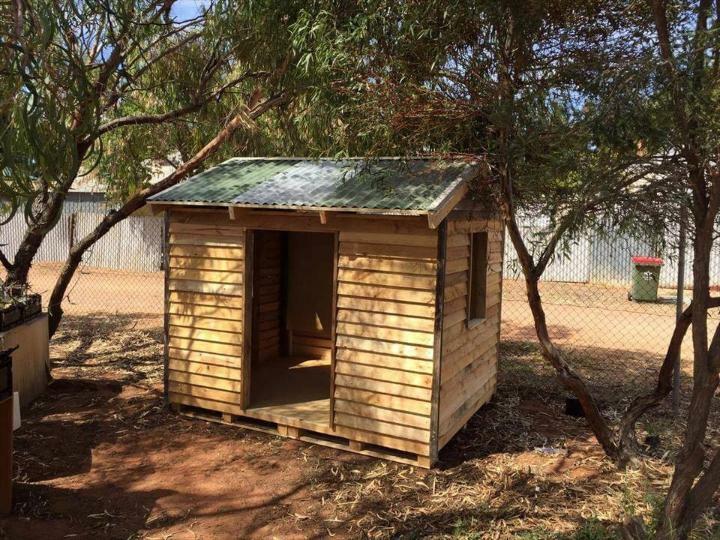 Now the fun pallet playhouse is all ready to plan for kids fun, make fully equipped for peak value fun and you can try to add some slides, swings or monkey bars to it to do so!